Tongass National Forest is home to centuries-old trees and rivers flowing through thousands of islands. It is also the final forest in the fight to keep timber sales out of roadless areas. The U.S. Forest Service is requesting the public to weigh in – before Oct. 15, 2018 – on a plan to roll back the Roadless Area Conservation Rule in Alaska. Please submit your comment today to defend the Tongass and the Roadless Rule. As a four-seater Cessna glides over Alaska’s Tongass National Forest, Earthjustice attorney Tom Waldo looks out the window at its majestic emerald green and deep blue landscape. The Tongass, located in Alaska's panhandle, is the largest national forest in the United States. Tom Waldo, in the forest on Douglas Island near Juneau, Alaska. The Tongass — America’s largest and wildest national forest — is filled with centuries-old towering trees, ice fields and glaciers, and rivers and fjords flowing among thousands of islands. Like most wild places in America, though, the Tongass is not without its scars. Decades after timber companies razed the forest’s biggest, oldest trees, parts of it are still covered in small, uniform evergreens, mere remnants of their majestic ancestors. But Waldo’s work, is worth celebrating. On Aug. 2, 2018, the U.S. Forest Service announced its intention to create an “Alaska state-specific” version of the Roadless Rule, signaling a gift to a handful of timber companies. In the spring of 2018, environmental champions in Congress stood up for the Tongass and the Roadless Rule, ensuring that attacks on our largest national forest did not make it into the omnibus spending bill. See a timeline explaining the decades-long fight for the Roadless Rule. 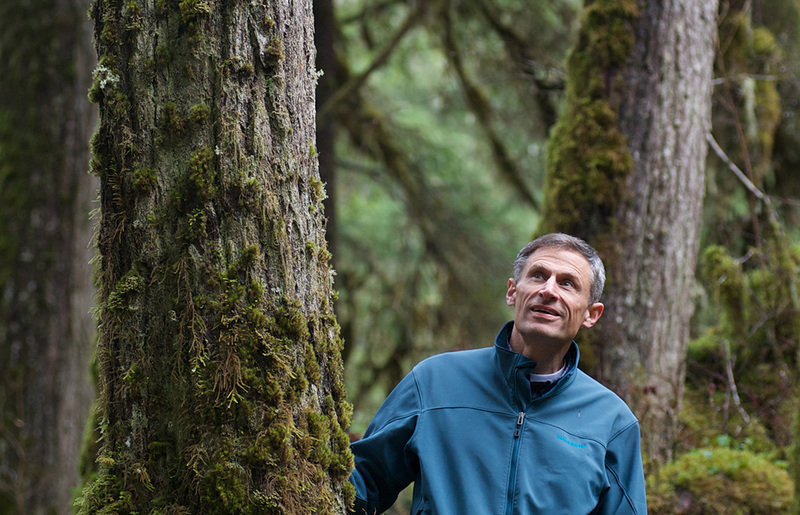 Together with a team of fellow Earthjustice attorneys and a variety of clients, Waldo has spent the last 30 years protecting this old-growth forest from the joined efforts of government and industry to prop up an unsustainable, money-losing logging program that takes no heed of its damaging consequences. He has kept roadless areas intact, saving the last remaining habitat for wildlife species that struggle to survive in the old-growth forest that remains. Most importantly, he has helped to protect a resource that many people depend on — from Alaska Natives and commercial fishermen to tourism operators and others whose lifestyle and culture are intimately tied to nature. But there’s still more work to do — and protecting the Tongass is not only a moral obligation, it’s a legal one. After law school and a Fulbright scholarship in Finland, Waldo secured a job clerking for the chief justice of the Alaska Supreme Court in Fairbanks. He and his wife Anitra thought that they were going to have a one-year adventure in Alaska and then return to Minnesota, but they quickly fell in love with the grandeur of the landscape. Tracy Arm Fjord in the Tongass. Tourism, recreation and fishing—which all depend on a vibrant Tongass ecosystem—are the economic powerhouses in the Southeast Alaska today. As his clerkship ended, Waldo sent résumés to Alaska law firms, but received no offers. He and Anitra returned to Minnesota with their new Alaska-born baby, where Waldo worked for a year in the Minnesota Attorney General’s office. But they wouldn’t live away from Alaska for long. In 1989, the Exxon Valdez oil tanker ran aground in Prince William Sound, spilling 11 million gallons of crude oil. Earthjustice sued Exxon and asked Waldo to help. He jumped at the chance to join Earthjustice’s Juneau office, located right in the middle of the Tongass. Eventually, the Waldos found a house on a hill. From their back door, the forest climbs steeply up a mountain, which gives way to an ice field reaching 35 miles to the Canadian border. From the front, they have a view of the mountains on Douglas Island and the channel between the island and Juneau. They see deer and bears in the yard frequently and bald eagles every day. He couldn’t believe his good fortune. 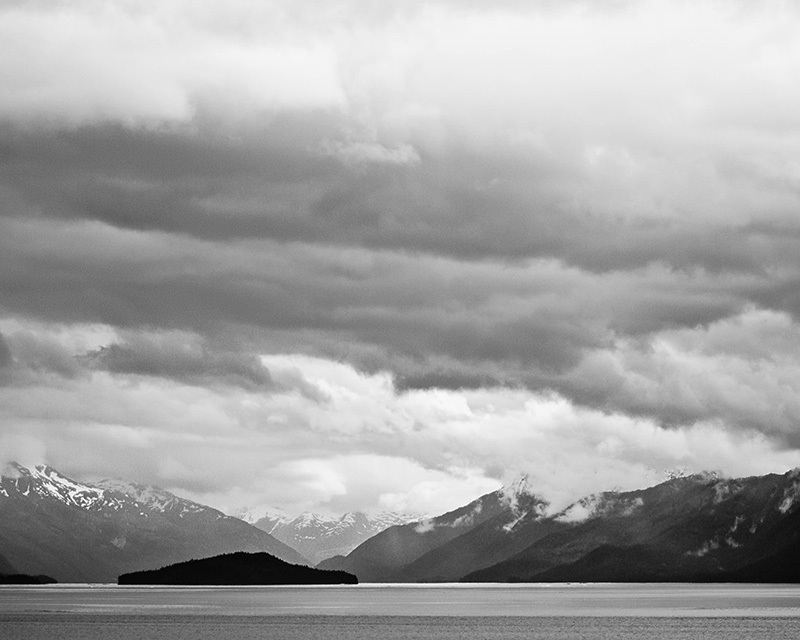 Just months after moving to Juneau, Waldo got his chance to protect the landscape he adored. In what would be the first of many Tongass-related cases, Waldo and the other Earthjustice lawyers in Juneau challenged the Forest Service’s five-year plan for a massive logging program that would clear-cut wildlife habitat and decrease food sources for subsistence hunters. In the ensuing years, one by one, Waldo beat back attempts to log the biggest trees and best wildlife habitat, but for every tree he helped save, another was threatened. Earthjustice and other environmental organizations faced this situation around the country. Nationwide, hundreds of thousands of miles of logging roads in the national forests were fragmenting habitat and destroying wilderness. What is Roadless? Covering about a third of our national forests, the 2001 Roadless Area Conservation Rule protects “large, relatively undisturbed landscapes” from damaging new roads and clear-cuts in intact forests. Other economic development, including tourism projects, is permitted. The protected areas provide vital habitat for 1,500 wildlife species — and drinking water supplies for 60 million Americans. Years of litigation and advocacy finally yielded a more holistic solution. In 2001, the Clinton Administration adopted the Roadless Area Conservation Rule, which generally prohibits logging and road construction in roadless areas of the national forests. But the celebration didn’t last for long. State governments and industry interests contested the rule immediately after its passage. The Bush administration, for its part, failed to mount an adequate defense. Eventually, it attempted — unsuccessfully — to repeal the rule. Over the next two decades, Earthjustice successfully fought back against these challenges — and against attempts to sell roadless forests for timber. Today, the Tongass remains the one forest where the fight continues to keep timber sales out of roadless areas. 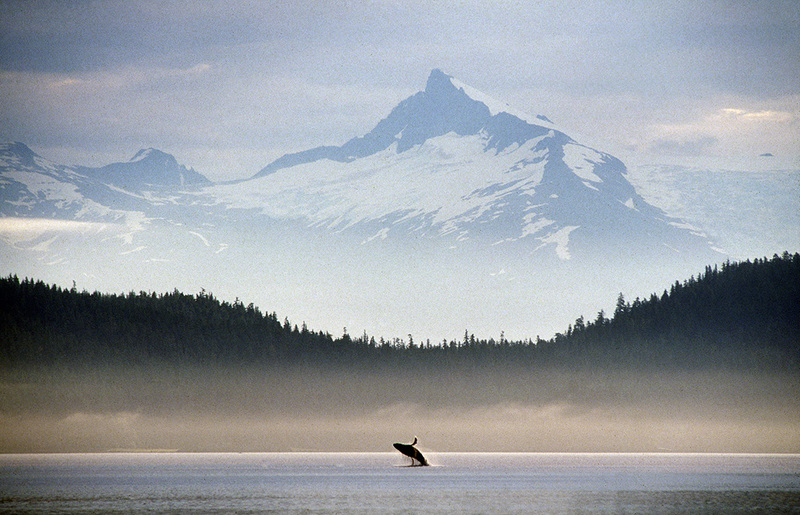 When Alaska first challenged the Roadless Rule in court, the Bush administration settled the case in 2003 by exempting the Tongass from the rule’s protections. Initially, the Bush administration called the exemption “temporary.” After several years, though, it became clear the exemption was permanent. Waldo and his co-counsel from the Natural Resources Defense Council challenged the Tongass exemption in 2009 and won. But the state of Alaska appealed and, in March, 2014, a panel of the Ninth Circuit Court of Appeals reversed the lower court’s decision by a 2–1 vote, once again exempting the Tongass from the Roadless Rule’s protection. Only one option remained: to ask for an en banc hearing at the Ninth Circuit, whereby an expanded 11-judge panel would re-hear the case. Every year, the Ninth Circuit receives about 1,000 petitions for en banc hearings and only grants about 20, so Waldo knew it was a long shot. In late August, 2014, the Ninth Circuit granted the petition, and Waldo once more argued the merits of the case for protecting the Tongass. The Ninth Circuit en banc panel issued its ruling on July 29, 2015, finding that the exemption of the Tongass from the Roadless Rule was illegal. A win at this level didn’t end the battle to protect the entire Tongass, though. The U.S. Forest Service continues supporting old-growth logging on parts of the forest that already have roads, and Waldo continues fighting to protect wildlife that need old-growth forest to survive. A logger climbs down a mountainside while working on Admiralty Island in the Tongass. This is where Waldo sees a second opportunity for enormous environmental success. The Forest Service is amending the Tongass Land Management Plan, which includes a proposal to transition the logging program from old-growth to second-growth trees in 10 to 15 years. That’s why Earthjustice lawyers in Alaska are pushing the Forest Service to phase its timber program out of old-growth logging as fast as possible. From 2008 through 2013, the Forest Service spent $139.1 million for timber sales in the Tongass that brought returns of only $8.6 million. 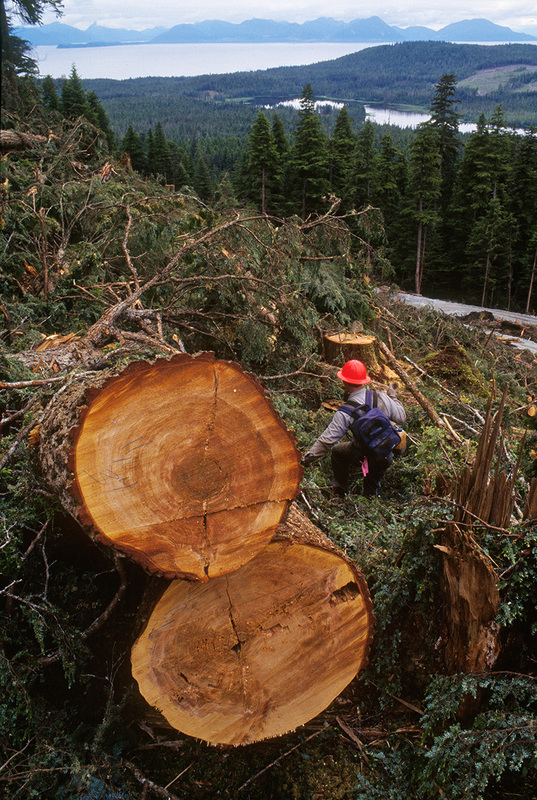 In short, taxpayers are losing 93 cents for every dollar spent selling ancient Tongass trees. In contrast, the tourism, recreation and fishing industries in Southeast Alaska, which depend on a vibrant Tongass ecosystem, are the economic powerhouses in the region, supporting thousands — 30 times more jobs than the small but destructive timber industry. So, for the sake of few jobs, the federal government subsidizes the timber industry despite the costs to the environment, to the rest of the regional economy, or to the American taxpayer. 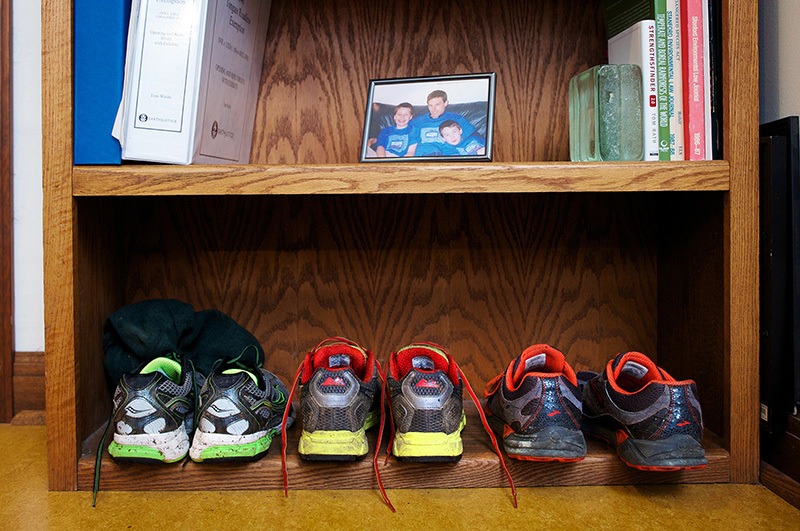 A shelf in Waldo's office holds his shoes and an older photo of him with his two sons. Biking shoes are in the middle, flanked by running and around-town shoes. 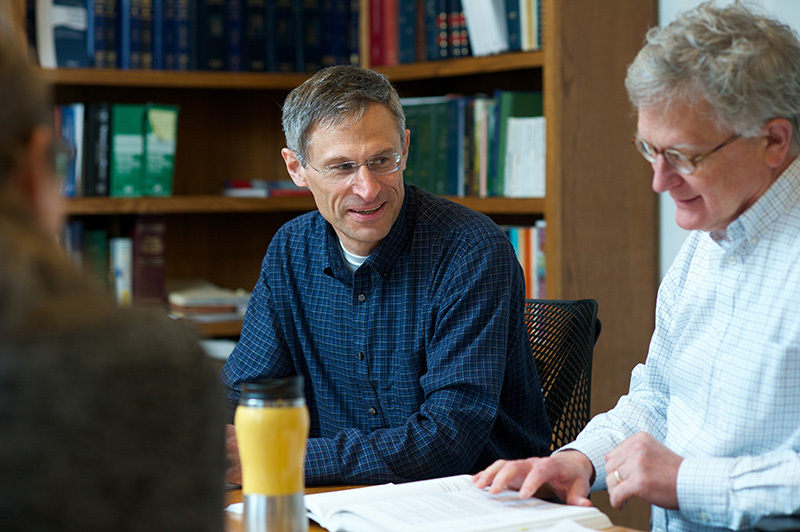 Above, Tom Waldo (center), with Alaska Managing Attorney Eric Jorgensen. Thirty years ago, it was impossible to convince the Forest Service that it shouldn’t support logging. Back then, every new sale meant new roads were built, and only the places with the biggest trees were logged. But today, in part thanks to Earthjustice’s work, public opinion about logging, especially old-growth logging, has shifted dramatically. Similarly, a transition away from old-growth logging is not a matter of if, but when. Today, only fragments remain in much of the world’s original forests. But in the Tongass, where vast tracts of primeval forests still exist, and all of the original wildlife species are still present, time is of the essence to quickly end large-scale old-growth logging. “That is a rare legacy we can still leave to future generations,” says Waldo. 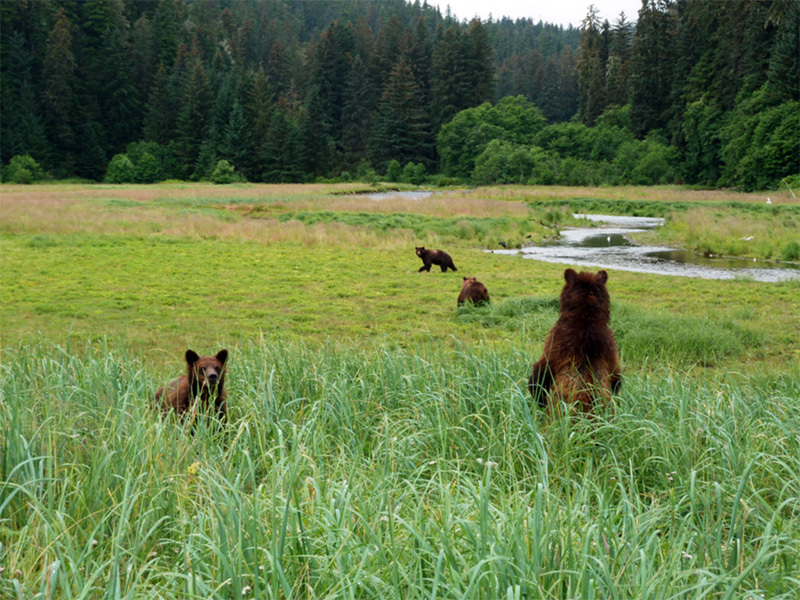 Submit your comment by Oct. 15, and help defend the Tongass.